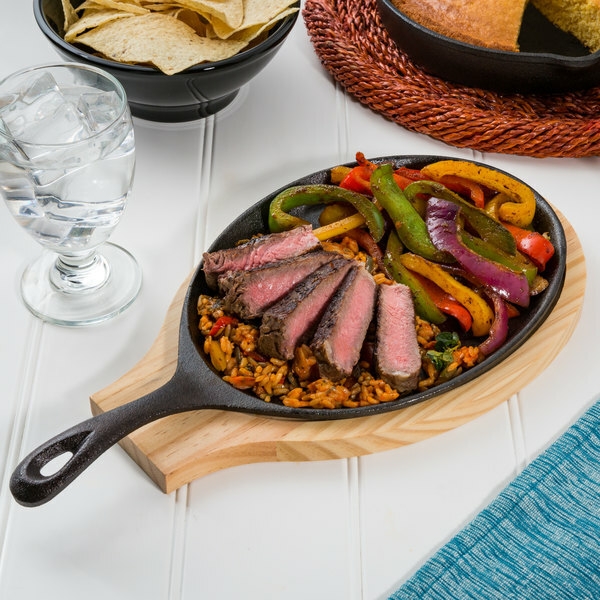 Create a rustic food presentation with this Valor 9 1/4" x 7" cast iron oval sizzler with handle! 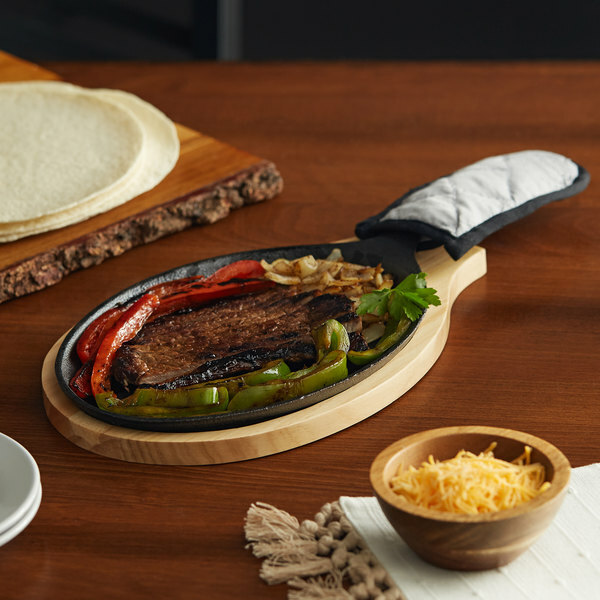 This premium sizzler is designed to expertly serve your signature fajitas hot, sizzling, and fresh from the kitchen! Its sturdy construction is ideal for oven-to-table applications, and thanks to its undeniable durability, it's sure to offer long-lasting use in your commercial kitchen. Use it to bring piping hot chicken, fish, steak, and vegetables out to the table. This FDA-approved piece comes pre-seasoned with vegetable oil, ensuring it offers a natural, easy-release finish that only improves with use. Plus, it's ready for immediate use. The Valor finish allows for a natural, easy release while cooking, and the finish only improves with use! It also adds to the exceptional product quality of this cookware. This piece includes a handle for easier transportation to and from your kitchen. Grasp with a pot holder when removing from heat, and you'll have a safe and effective way to carry your piping hot platters. This sizzler features excellent heat retention to keep hot foods hotter, longer. Use it on induction, ceramic, electric, or gas cooktops. The versatility of this piece is insurmountable. Creating a rustic, farm-to-table feel in your dining area is easy with the help of this Valor cast iron cookware! The on-trend style brings a creative, freshly-made, home-cooked element to your most popular appetizers, sides, and even desserts. This cast iron piece from Valor has been shown to survive cycles in a 2 minute commercial dishwasher with no signs of rust. However, it is recommended that these items be hand washed. How is Valor's pre-seasoned cookware seasoned? All of Valor's pre-seasoned cookware is seasoned with soy-based vegetable oil. No peanut oil or animal fat is used. Yes. This is a result of the sand casting process. 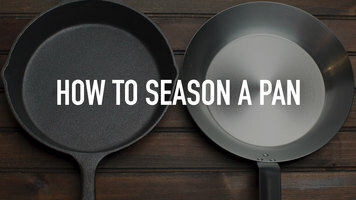 With use and replenishment of the seasoning, the pan will become smoother. For concerns about roughness, it is OK to use a fine grade of sandpaper to smooth out the rough areas. Make sure to re-season the item before using. 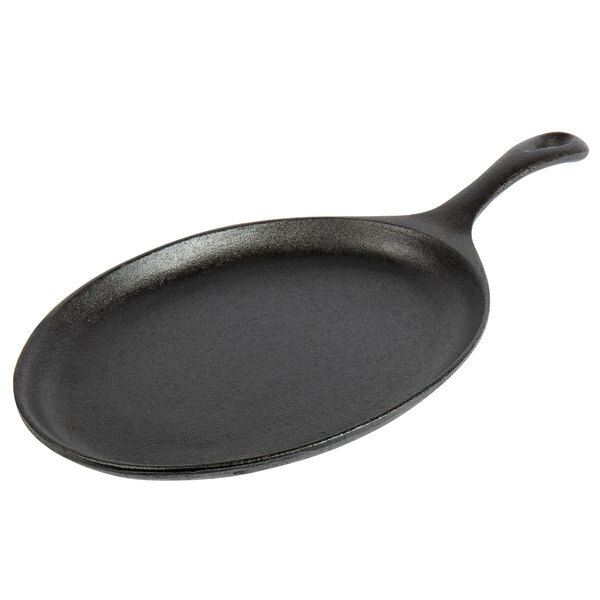 For impressive strength, versatility, and longevity, it’s hard to beat cast iron cookware. Valor cookware delivers the traditional benefits of cast iron, but with the added bonus of affordability that other brands don’t offer. 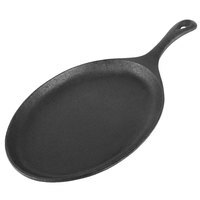 This ensures that every kitchen can take advantage of the tried-and-true method of cast iron cookware. Valor offers skillets, griddles, servers, sizzlers, and mini serving dishes, most of which are available with or without handles. Sizzlers and serving dishes, and even skillets in family-style settings, are great for back-of-house to front-of-house use. Just cook in the pan and then carry it to the table when ready. 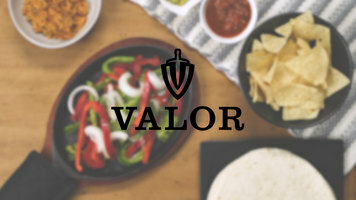 Valor boasts unparalleled heat retention, so you can be sure that your steak, stir-fry, or fajita dish will be served with fresh-out-of-the-oven heat and sizzling fanfare. 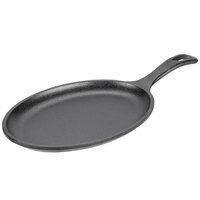 For use in the kitchen, Valor skillets and griddles are available with smooth or ribbed surfaces. While smooth surfaces are perfect for fried eggs, pancakes, and grilled cheese, a ribbed surface is ideal for meat, giving the protein a mouthwatering, seared appearance. All Valor cookware have a FDA-approved pre-seasoned coating. They’re also safe for the oven, grill, induction range, and stovetop. 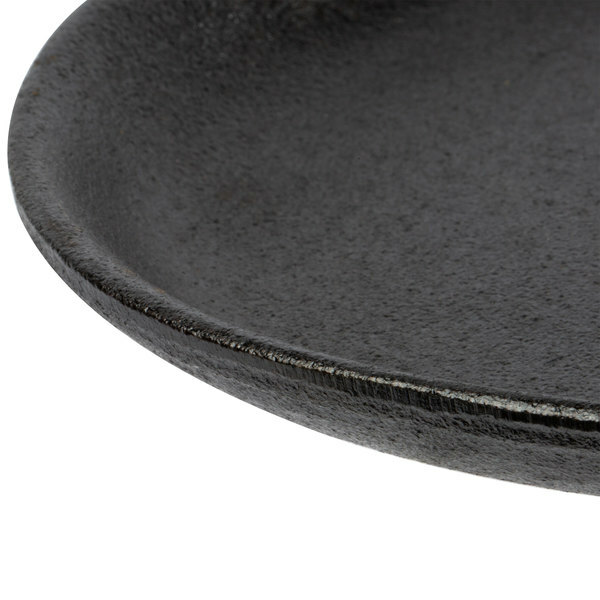 This ensures excellent back-of-house versatility and makes cast iron cookware a truly worthwhile investment. 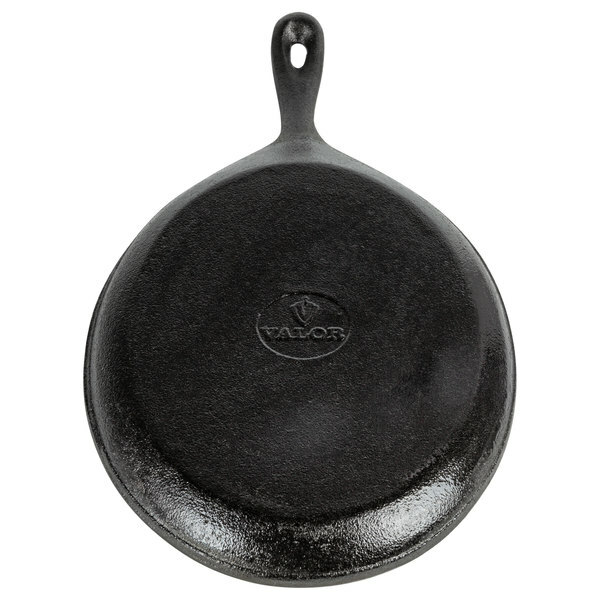 Take advantage of everything cast iron cookware has to offer with the premium Valor quality! Fantastic sizzler! It is perfectly pre-seasoned and has an extremely tough finish. The value is what I am happy about the most, really an unbeatable price for a cast iron sizzler.